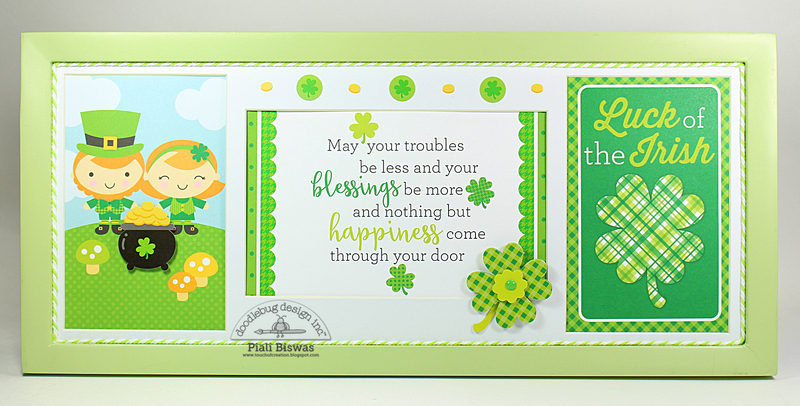 Piali here... today I have some projects using Pot O' Gold collections to share with you all. 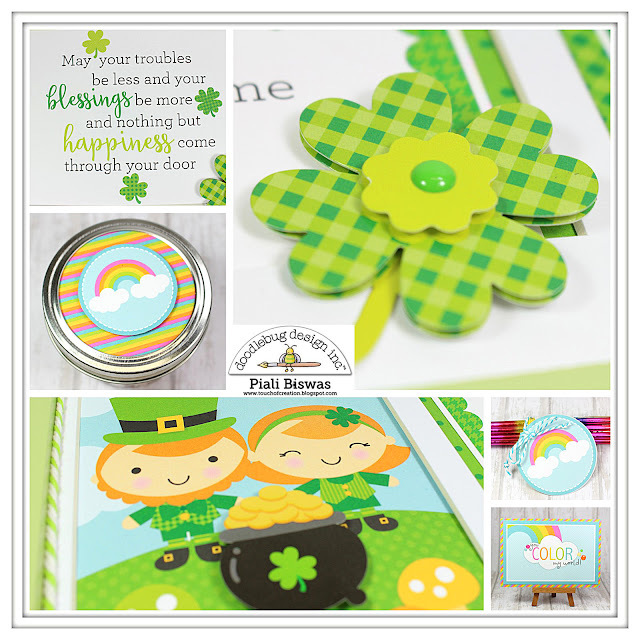 Pot O' Gold is a St. Patrick's Day themed collection with super cute icons!! I love all the new Doodlebug collections come with a beautiful quote/saying print , the font is amazing. I used the 6x6 print for this frame. I adhered the chunky twine all around the frame. I added the Good Luck Doodle Pop and stickers to finish the project. The best part about each Doodlebug collection is that they can be used beyond the theme. 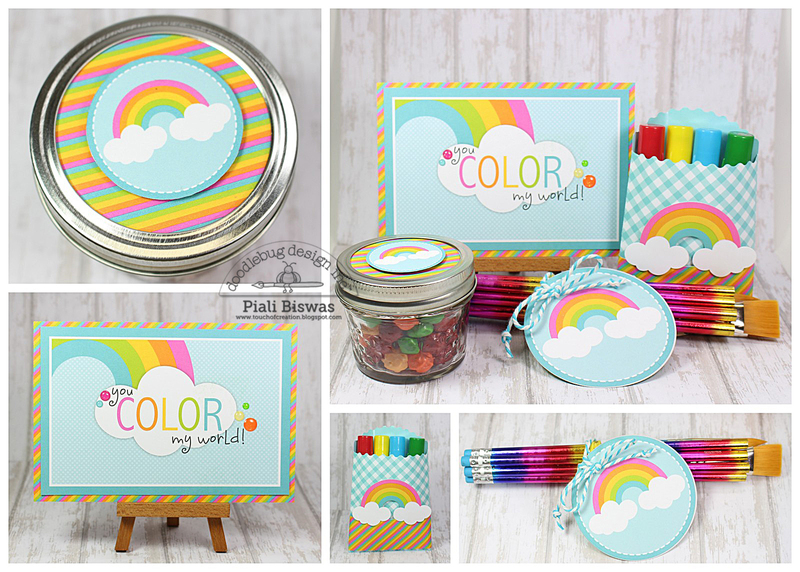 I love to stretch my supplies... so I used Pot O' Gold collection to make a gift set! A artsy gift st for a little budding artist. Love the Rainbow and cloud icon....I designed the project around it. 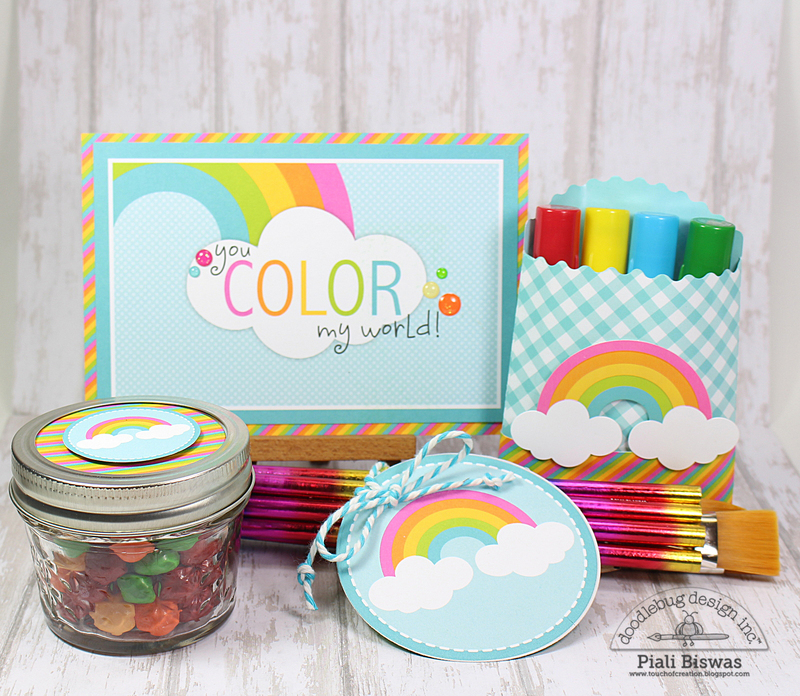 I have created a card, circle tag for the bundle of pencil & brushes, a gift pouch for the gelatos and a candy jar topper. The candy jar can be later used as a water container for water coloring. I used chunky twine to tie the tag. Such great projects! The rainbows just make me happy!